Up until the last decade, robots were created to operate autonomously or with restricted guidance. In the past few years, telepresence robots have been around, but have not gained widespread traction in the enterprise, note James Glasnapp, and Nick Meehan of the The Palo Alto Research Center (PARC). Yet, increasingly we are seeing classes of robots designed to interact with people in a distributed physical space, according to Glasnapp and Meehan, who are UX researcher, and designer and technologist respectively, at PARC, a Xerox Company. 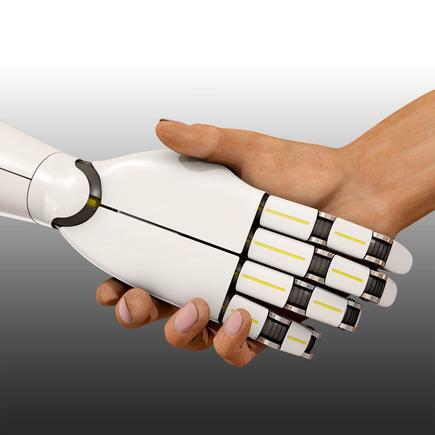 As the year comes to an end, the two share with CIO New Zealand some predictions on digital workplace, specifically, the rise of the cobot - a robot interacting and functioning with people. “Moving into 2019, we will see an expansion of these office and personal robots meant to help us collaborate and coordinate action with others,” they state. They point out companies are lowering the costs of entry-level telepresence robots, with abilities that are “becoming more intriguing”. For example, Temi has put out a telepresence robot with high-quality speakers, an intelligent voice assistant, and basic autonomy. Fusion has developed collaborative robotic arms in the form of a telepresence backpack. Ava robotics is focusing on autonomy, allowing robots to move freely in offices. Beam has increased the size of their touch screens and the included wide-angle HD cameras in their latest offerings. Anki released a countertop robotic home assistant. 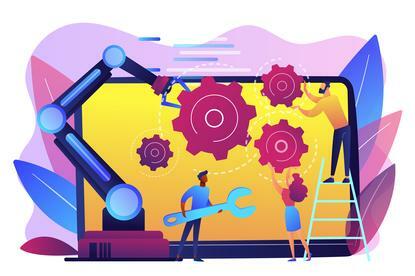 “The explosion of robotics startups in the valley and the steady march towards robotics in the office and the home isn’t a coincidence,” they state further. Voice assistants, like Siri, Alexa, and Google Assistant, meanwhile, have created new interaction models that make human-machine interaction beyond touches and clicks, less of a burden. And lastly, the maturation of robotics, in general, is making this possible in ways that would have been difficult to imagine a few years ago. Robotics Operating System, ROS is now in its 11th year of development, they state. What started as a research tool born out of Willow Garage, is now reached a level of maturity and stability that not just researchers but enterprise are open to adopting for their systems. Google has added ROS support to the Android platform, allowing small startups like Omni Labs to quickly deploy a 3D printed telepresence robot, on a hardened Android platform. Telepresence robots will increasingly be more attractive to remote workers and people who work with them. We don’t see the office going away any time soon, but teams will continue to be distributed geographically. Creating opportunities for better collaboration for remote participants is a pain point easily addressed by the latest telepresence robotic platforms. Telepresence robots will frequently have better technology that allows remote observers better sensing of the physical environment in which the robot inhabits. Telepresence robots will allow certain types of travel to become a thing of the past because as the costs lower, it becomes cheaper to send a robot instead of personally traveling to a meeting or site visit. What the digital smartphone is to the individual, telepresence robots are to groups. This means that as these cobots are able to physically move and do more, teams of people can interact and utilise these robots in new ways together.